The Atelier 3 is the last of Rams' early Atelier series. 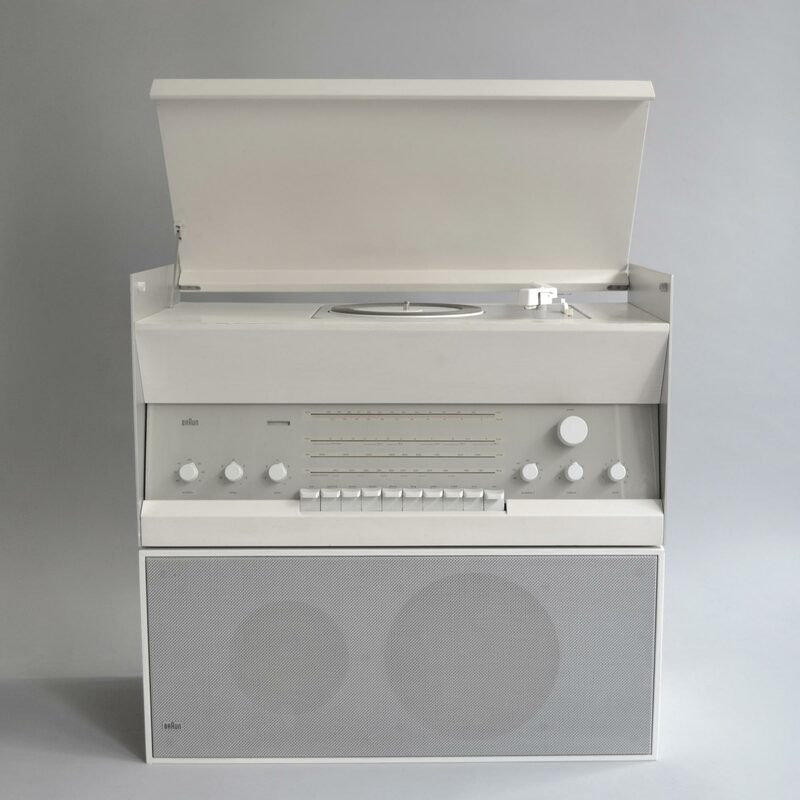 Whereas Ateliers 1 and 2 presented relatively crude variations on Gugelot's SK 4, the 3rd iteration broke decisively with the material vocabulary of early Braun Design, specifically in the substitution of 'natural' wood finishes for emphatically industrial anodised aluminium and the introduction of an asymmetrical face for the receiver module. The housing of the Atelier 3 follows the same constructive principle and materials as Rams had used two years previously in his RZ 60 Universal Shelving System. 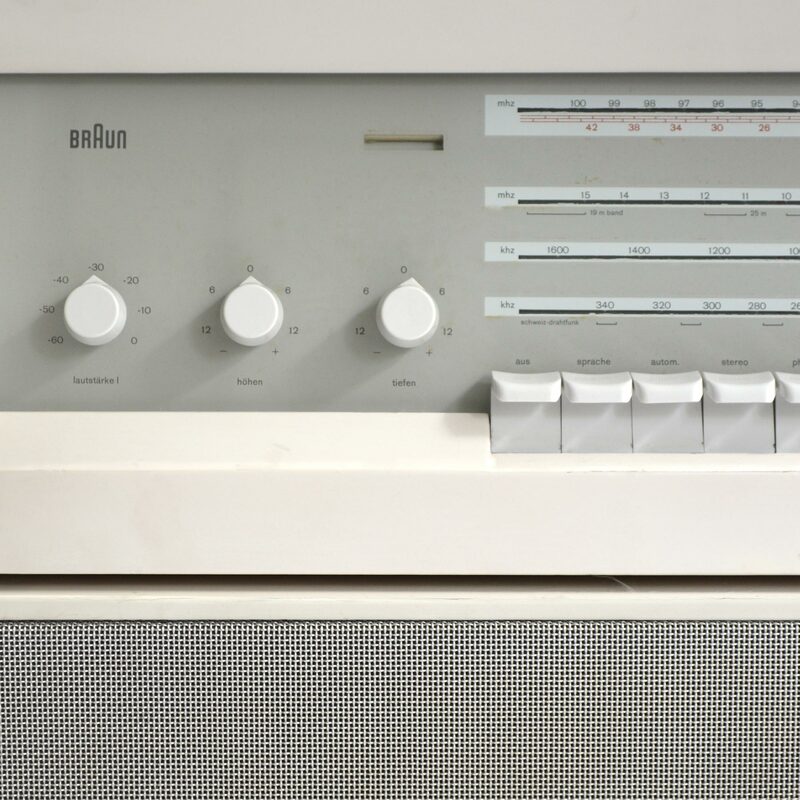 This convergence of audio and storage design through common material and constructive principles finally resolved the problematic tension between audio and furniture evident in much of the Braun audio programme of '50s.